Gear up for an exhilarating five-night-long celebration of one of Singapore’s biggest events: the Formula 1 races. Back for its 6th year running, Sky Grandé Prix will be taking place from 13 to 17 September at three of Singapore’s coolest rooftop bars: Empire, Skyline and newcomer Ratio Ultra-lounge. 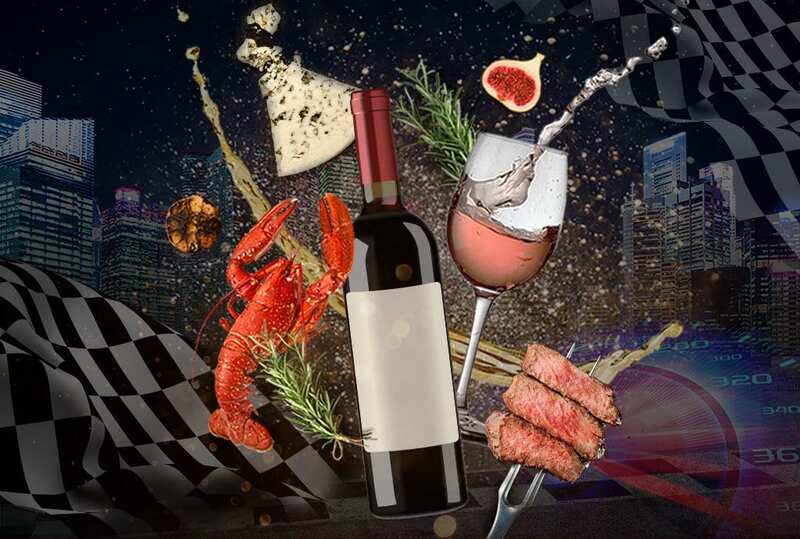 The highly anticipated race-party series will host five exciting themed nights — ranging from The Biggest Singles’ Party to The Bunny Invasion — where you can party away against a backdrop of Singapore’s glittering city skyline. Festivities will come in full swing over the weekend. On Saturday, expect an evening of opulence at The Gold Party, held in collaboration with Johnnie Walker Gold Label. In the spirit of the thrilling Formula 1 races, British luxury label Dunhill will also be premiering its latest fragrance, Dunhill ICON Racing, which captures the essence of racing. On the closing night on Sunday, catch the final race with a killer view of the racetrack while enjoying a feast from Sky Grandé Prix’s inaugural Gourmet Pop-up. This year’s edition features culinary delights from Angie’s Oyster Bar, SEAR, Garang Grill, Chimichanga and WMC. The party will continue till late, going out with a bang with a stunning display of fireworks. In conjunction with the 10th anniversary of Grand Prix Season Singapore, Sky Grandé Prix has also curated a slew of special events and deals tailored for partygoers, including 10 bottle promotions and sets from 10 of the hottest female DJs. This year’s Sky Grandé Prix is set to keep you pumped up during the Formula 1 races, making it a weekend you won’t forget. Sky Grandé Prix 2017 will take place at Empire/Skyline/Ratio, located at 50 Raffles Place, Level 45 Singapore Land Tower. Get your tickets here. Unpack your bags - the golden sands of the Emirates doesn’t seem too far anymore. The Rich List brought their lavish entourage s ..
A dizzying selection of events will leave you feeling like a winner. Live it up at Singapore's best rooftop bars in the CBD, Orchard Road and Marina Bay Sands with spectacular views that are sure to ..
A Formula One simulator, a cinema screening a collection of Ferrari-themed films, and a charming Ferrari café – these are some .. It's gift-giving time once again, and to help you draw up your shopping list, here's a nifty bag guide by one of our guilty pleas ..